Festive Meal – over 30 Members of Fun4all were treated to a wonderful 2 Course Christmas Dinner at Chippenham Golf Club. Everyone had a relaxing and enjoyable time, more so because the food was put in front of them and cleared away whilst they were able to enjoy their time having a natter and taking in the festive atmosphere. All in all they had at least 2 1/2 hours of ‘me’ time to recharge their batteries, so necessary to face their next challenge at home. Entertainment from Mike and Muriel. 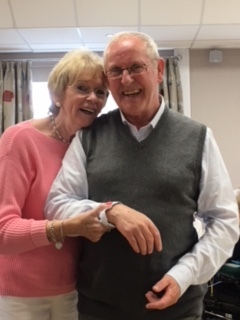 The couple, who entertain in Care Homes and Nursing Homes throughout Wiltshire and parts of Somerset under the name of “SINGING FOR FUN”, delivered a mixture of favourite melodies, comedic songs and a dance demonstration. Members loaded on to the minibus for a very enjoyable trip to the REME Museum at Lyneham. 27 members made it to the Rotary Hall where after eating a tasty buffet they sang along to musician Barry Pike playing his keyboard. Barry responded to requests from the audience for different types of music and some ladies did a dance routine to some country music…our own version of “The Tiller Girls”. 29 Members enjoyed a lovely buffet and then Geoffrey regaled us with amusing stories of his employment as a Tour Manager for 2 Railway companies. Everyone thoroughly enjoyed the afternoon. Entertainment from musician Chris Stone. We welcomed 4 new members and everyone enjoyed a lovely buffet of sandwiches and cakes before Chris started his performance. Chris finished with a moving rendition of a Christian version of the song “Hallelujah”, in recognition of Easter. Entertainment from Bristol-based musician John Pendlington. 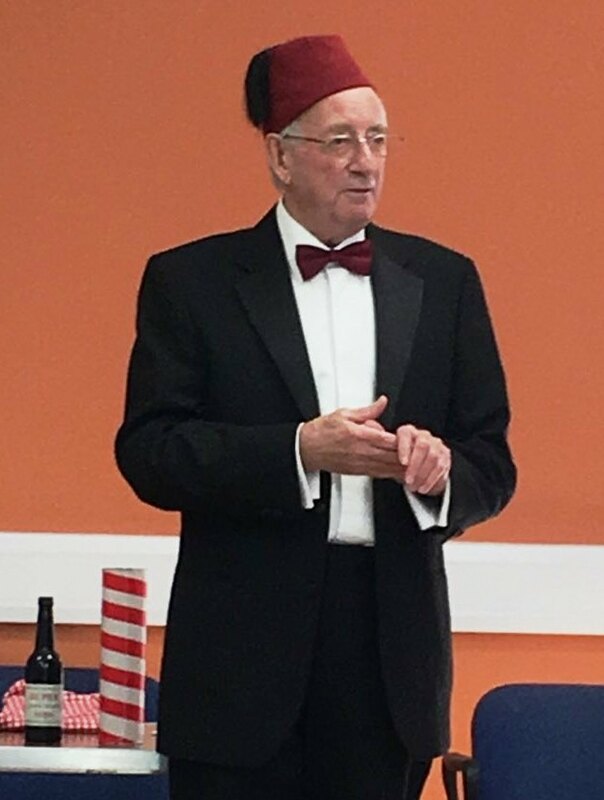 30 Members enjoyed a Fish & Chips lunch and then were entertained by John, who walked among the audience whilst playing his acoustic guitar and encouraging them to shake the tambourines and rattles he had distributed. Among the popular songs that were enjoyed “Singing The Blues” was a notable success. 19 members attended the local Italian Restaurant La Passione for a tasty lunchtime treat.All enjoyed a delicious meal and a drink and the chance to mingle and talk with each other. Bath Racecourse.The guests were picked up in a minibus at various points around the county before arriving at the track and were provided with a lovely picnic to enjoy before the afternoon’s racing. Many thanks to the Co-operative Local Community Fund who recently announced that we would would receive £3,012.34. This amount was raised at the Co-operative Store in Pickwick Road , Corsham. Chair Mike Oakes would like to thank all those customers who voted for Fun4All during the fundraising period . He said “This will enable us to improve on our regular programme of events that we provide for Carers, and to increase the scope and the frequency of our events. This is so vital to the increasing number of people who are taking on the responsibility of becoming a Carer”. Co-op Store Manager Keith, Area manager Melo and Fun4All Chair Mike Oakes. “The Wartime Kitchen” from Lynda Warren.The members enjoyed Lynda describing the processes around the evacuation of children and how they were billeted and then she went on to describe how families coped with rationing and ‘making do’ with what was available at the time. Everyone enjoyed a buffet before being escorted to the Monkton Hill Church Hall where local choir MASK were performing the famous G&S comic opera. 31 Members enjoyed a lovely buffet lunch and then were entertained by local musician Chris Stone. 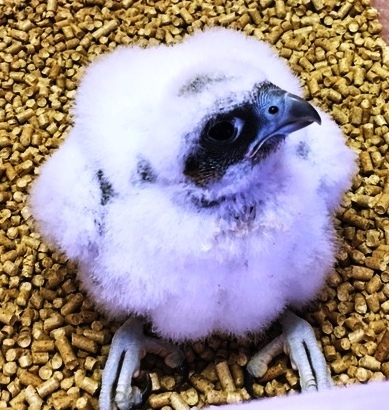 Fish & Chip luncheon followed by a very interesting talk on Birds of Prey by local breeder Julian Frost. 33 members enjoyed their meal and were then enthralled by the talk given by Julian. Bath Racecourse, where most members managed to select a winner, and some came out with a nice profit. Amusing talk about the Yeoman of the Guard, given by local resident Shaun McCormack ( former Beefeater at the Tower of London) 33 members enjoyed a lunch of fish and chips before the talk and were pleased to hear about the history of the Guard. Fish and Chip Social with entertainment from singer Chris Stone. Annual Christmas Lunch and 30 members thoroughly enjoyed being entertained by 4-piece local group Conchordia, plus comical interludes as well.Following the entertainment our guests enjoyed a sumptuous lunch. The fact that the Carers did not have to prepare the meal or wash up gave them some relief from their 24/7 Caring duties, so vital for their own well-being. A huge thank you to all the gamers who supported Ludonation.uk ludonation.uk/ on 26 September and raised a net figure of £376.16. We all had a great time ! To this figure I have added the contents of the charity boxes that Kevin and I put out each week at the Chippenham Games Club and that amounted to £107.51, so I will be able to bank £483.67 to the Fun4All Account. This is a fantastic amount to a small local charity like ourselves and I can assure you it will be put to good use.With so many people acting as unpaid carers in society today, and for so many different ‘impairments’, we recognise the need to provide them with a break. Happy Gaming and good luck to you all. 28 members attended Fish & Chip lunch and social. PRESS RELEASE After the meal the members joined in some community Singing led by Mike . That’s The Way To Do IT !! Lee and Alison Baldwin and their twin sons climbed Ben Nevis in a 9 hour trek raising over £700. 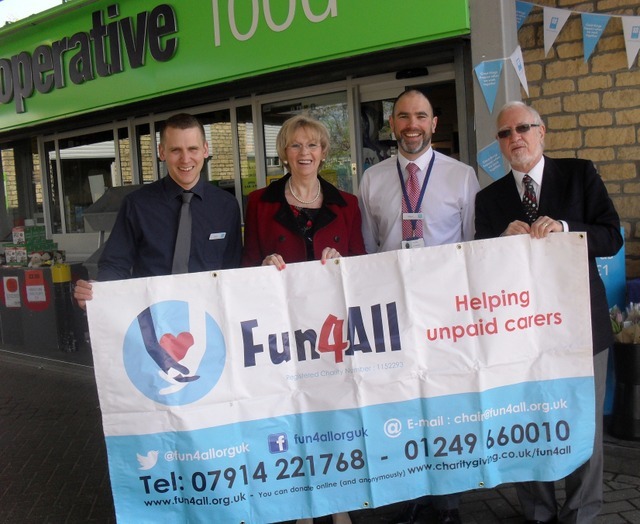 Chippenham-based charity Fun4All, which aims to give Wiltshire Carers and those they Care For a break, continued their 2014 programme of events with a Fish and Chip lunch, followed by singalong entertainment from local vocalist Christ Stone. 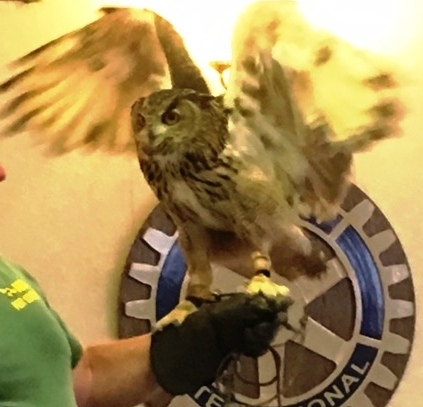 Chippenham-based charity Fun4All, which aims to give carers and those they care for a break, held its second residential break over the weekend of 7-9 February at the Hilton Hotel, Swindon, where 55 guests enjoyed a packed programme of entertainment and activities.